Rooting will sound troublesome until you find the best tool option, so what I brought today will make you impressed as Top 10 Android Rooting Tools are listed below to turn your Android into a more powerful gadget. Some of the rooting applications require a number of complicated downloads and clicks to process but at the same time they might risk your device. In that way, it is extremely important to pick the best tool option. So read on as we are helping you to select the right one that matches your requirement. Rooting will void your device’s warranty, so you have to make a clear decision whether to root or not. In addition to that, you must check the device’s compatibility with the selected rooting software and make sure you have picked the best to match with your device model. I have listed the tool options which are completely free to download and easily manageable, so you only need to charge your device to a sufficient power strength for an Android root free of interruptions. In most Android rooting software, you find both PC and APK versions. So remember to enable USB debugging and install proper drivers to work with PC format (Windows PC is required). If you think connecting to the PC is troublesome, you can try APK and it does not require anything beyond enabling unknown sources in the device settings. 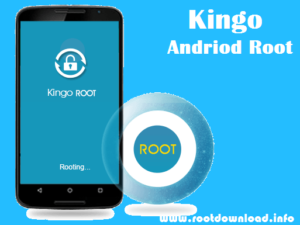 KingoRoot is one of the best rooting software which has won the trust of millions of Android rooters. It comes with an extensive device support while giving both PC and APK download rights. It comes in a true user-friendly interface where beginner to all experts can feel absolutely comfortable throughout the process. Those who are in Android Eclair to Lollipop can get KingoRoot support and latest tool version 1.4.6 has released on July 13th 2016 including a Universal root script for Android 5.0 above. Therefore head to KingoRoot Download if you wish for a trouble-free Android root in your expensive gadget. The developer credits for KingoRoot rooting software goes to King Soft. If you are a lazy rooter, you will find nothing better than Kingroot as it gives a successful Android root just with a single click. It is trusted for a faster and clean operation where user can get with the process without any extra effort. And the risk of failure or risk of getting your device bricked is absolutely low with kingroot. Both PC and APK versions are available in Kingroot with a high device compatibility. It can be trusted for a successful root from Android Froyo to latest android Marshmallow. So head to Kingroot Download and experience true potential of your Android with a simple rooting process. The latest Kingroot v4.9.3 has recently released by developers King Soft who holds the whole credit for Kingroot development. Root Genius is smart application for a genius root which only takes time of a single tap. The reason why Root Genius stands all over above is its comprehensive interface and improved rooting techniques. Chinese developer team Shuame holds credit for the development of this smart concept which now caters thousands of Android users for a successful root. In this application also you will find both PC and APK versions, so anyone who does not like the PC support can directly download the application and make it run. as to the current records, Root Genius V3.1.7 is the latest available which serves more device models and Android versions. Therefore look for Root Genius Download if you want to boost your device’s performance with a new Android build. Vroot is a rooting software developed by team Mgyun. It is free to download and available in updated tool versions. Vroot Download needs a Windows PC helps as it is not available to directly download on Android. Vroot 1.7.8 is a now available but only in Chinese version, so users who need English language help can look for the previous Vroot 1.7.3 which is available in both Chinese and English versions. Number Android devices that have got root privileged with Vroot is extremely high, and now Vroot is available under name iRoot in a different and refreshed interface targeting more crowd. iRoot is the new version of Vroot which comes in a refreshed interface with improvements and implementation of high rooting techniques. iRoot is available in both PC and APK versions where user can pick the most suited for a convenient Android root. As to the records, iRoot has rooted over 100,000,000 devices. So you can trust iRoot for your Android too as it comes with extensive device support. The latest iRoot version 2.2.1 is available for a smart Android root help, and team Mgyun will release more versions in approaching days. So head to iRoot Download for a 100% safe rooting to automate everything just in a click. Towelroot is another smart rooting software developed by Geohot. Thanks him this has become a trusted rooting application for thousands of Android users which is available in both PC and APK formats. Towelroot is a small appliaction most used by KitKat users but it can be recommended for any Android user for a convenient root. Towelroot V3 is the current latest version available for a stable process. So anyone who look for a smart rooting application can head to Towelroot Download, which is simple yet smart. If you look for a root without a PC, you will not find a better solution than Framaroot. 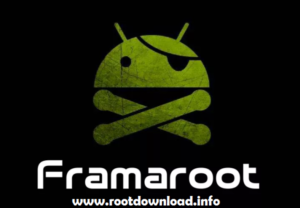 It does not require any complicated downloads and clicks like some other rooting applications, in fact Framaroot only need to download and run. Unlike other applications, Framaroot works with several exploits like Boromir, Gandalf, Pippin, Frodo, Sam, Gimli and Aragorn which you have to select in between the process. But there you have to select the most suitable exploit tomatch with your device model, so check for device support for a better and trouble-free root. Devices running Android Eclair to Lollipop are supported with Framaroot Download, so try Framaroot version 1.9.3 free of charges and how simply rooting sounds with one-click rooting software, Framaroot. 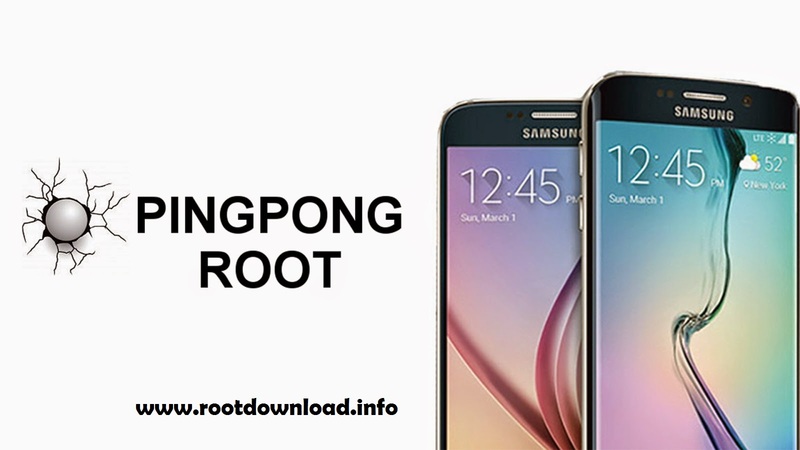 Ping Pong Root is a free root application designed prioritizing latest Samsung Galaxy S6 and S6 Edge device models. So without any troubles you can head to Ping Pong Root Download to make your expensive gadget rooted with most trusted rooting techniques. As this application is specially designed for Samsung Galaxy S6 and S6 Edge variants the risk of tripping the KNOX warranty is absolutely low here. Therefore you can root your latest Galaxy S6 and S6 Edge variants free of security threats. Ping Pong Rooting tool is available in APK format where user can easily work with rooting even without PC troubles. Therefore check your Galaxy S6/S6 Edge ROM version with latest Ping Pong Root v6.0 and experience a trouble-free Android root on your latest Android by giving whole credits for team Keen for this amazing tool development. SRS Root is another free software available for more number of Android devices including the latest. But it requires Windows PC support as APK is not curently available. 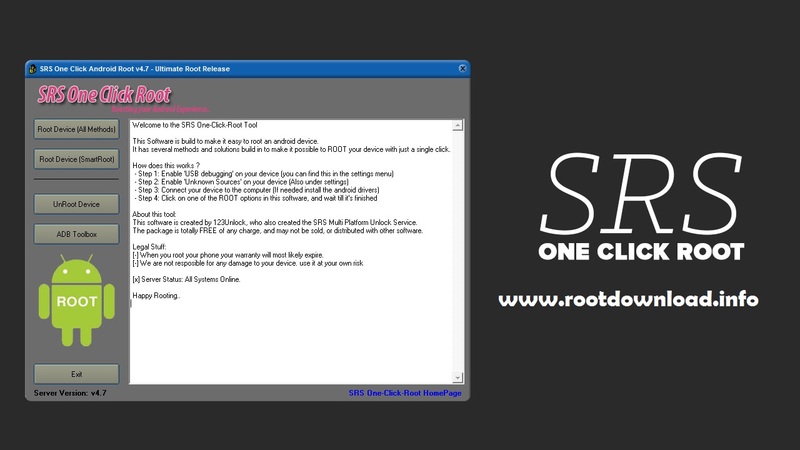 Both rooting and unrooting is easy with SRS, and it comes in an extremely user supportive interface with multiple exploit support to cater a wide device collection. Android versions from 5.1 to above are compatible with this simple application but remember that you have to have a Windows PC to SRS Root Download. Version 4.7 is available with improved rooting techniques and bug free processing. So check your device compatibility start processing SRS Root application. To root your device smartly. Root Master is one of the best choices you can try. It is a free application that supports more Android versions and device models. Root Master is available in APK which does not require installing to PC, so without any complications Root Master Download will make your Android rooted.The latest Root Master v3.0 is now available with both Chinese and English language help, so try this simple application and get with a risk-free root to make your Android super smart. A rooted Android can do more than a non rooted, and that has made more Android users to turn into rooting by now. Even though number of tool options are now available, to pick the right tool you may struggle. So writing Top 10 Android Rooting Tools, we truly attempt to make you aware of best tools for root your Android. If you are in view of boosting your device’s performance at the same time entering to a new world of Android, get our post help and pick the best tool among the listed best free options. And do not forget to tell us your experience. Visit us regularly and be aware of more rooting facts.